Nashville Mayor David Briley says he wants more control over the operation of Metro Schools. So what does that say about the man who's run the district for the last three years? 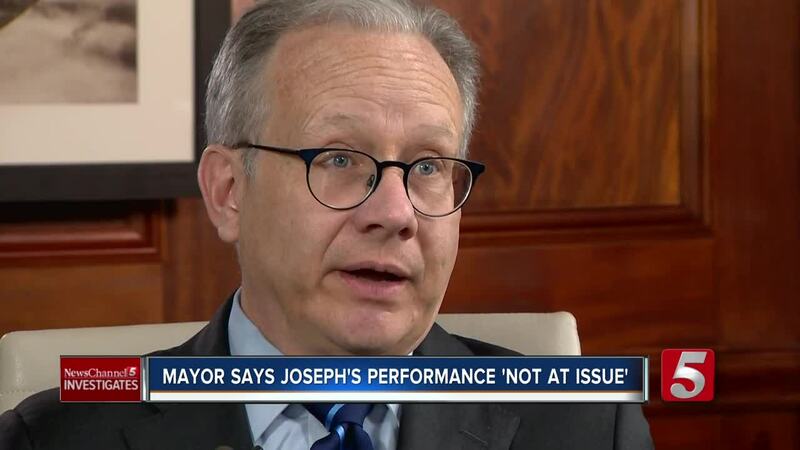 NASHVILLE, Tenn. (WTVF) — Nashville Mayor David Briley says he wants more control over the operation of Metro Schools. So what does that say about the man who has run the district for the last three years? That question, from NewsChannel 5 Investigates, was not one Briley wanted to answer. Briley stepped into the Metro Schools controversy last Friday, appearing to side with Schools Director Dr. Shawn Joseph in his battle with critics on the Metro School Board. He voiced support for the man who runs the school system, while insisting on getting more control over district operations. "My administration must and will be involved moving forward in operations, finances and human resources," he declared. In an interview Wednesday with Briley, NewsChannel 5 Investigates noted that "operations, finances, human resources - that's really the job of the director." "What does it say that you came out so strongly in favor of someone who may not be capable of handling those jobs?" Briley answered, "I would only partially agree with you about that, Phil. I'd say that the board is ultimately responsible for the district." Nearly three years into his four-year contract, Joseph faces allegations that he ignored warnings about a sexual harassment scandal -- a scandal that has already cost Metro Schools $350,000 in settlements, with the potential for costs to run into the millions. Our NewsChannel 5 investigation also uncovered questions about no-bid contracts with favored companies -- including $1.5 million for software that the district admits it didn't really use. There was evidence that Joseph and his team misled the school board about those contracts. And an HR report prepared by the mayor's old law firm raised questions about Joseph's role in a morale crisis now gripping the district. "Whether or not it was a failure of the director or not is really not at issue now," Briley said. "Right now, it's up to the board to make sure we are performing at a high level on all those areas." NewsChannel 5 asked, "Having observed, do you think it was a failure of the director?" "I'm not really in a position to say," he answered. But in recent months, Briley has dismissed the director's critics on the school board. "The focus on minutiae in the day-to-day board meetings is not going to make it easy for anybody to succeed over there," he said on NewsChannel 5's "Inside Politics." And in his news conference, the mayor echoed an argument that Joseph's supporters have made, namely, that the critics need to accept when they've been beat. 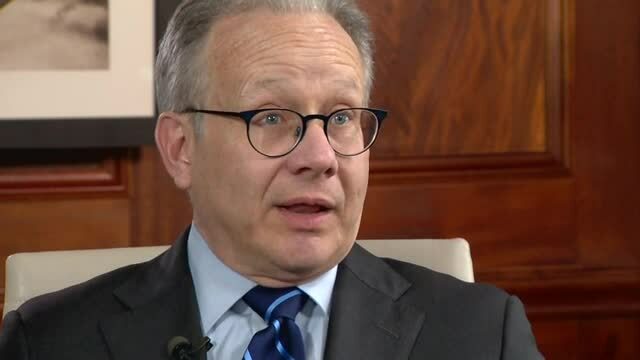 "Their own policy which requires -- yes, requires -- all board members to get behind any majority decision they make," Briley said in last Friday's news conference. NewsChannel 5 Investigates asked, "If the majority wants to ignore potential misconduct, if the majority wants to ignore potential misuse of funds, are you really suggesting that everyone else should just shut up and go on?" "Well, they have a written policy that they can change at any time," the mayor responded. As for Joseph's conduct, Briley appeared to make an apology on Joseph's behalf during his news conference. "I may be out on a limb here, but I think Dr. Joseph, too, would say with the benefit of hindsight that he would have made a few different decisions." We noted, "It doesn't sound like he has admitted any mistakes to you?" "Well, I haven't asked him to," Briley acknowledged. Does he think Joseph could have handled things differently? "Well, as I said, I'm sure if he looked back he would find instances where he would do things differently," Briley said. NewsChannel 5 Investigates pressed, "Do you find areas where you wish he had done things differently?" "I don't 'cause I haven't looked at it from that perspective," the mayor answered. Briley said his focus is on the board as a whole, not on Joseph. "I don't think I criticized just his critics on the board," Briley insisted. "I think I criticized the board as a group for not coming together and finding a way to make more progress for the kids in our city." The mayor was short on specifics about how he might get more control, although he said he will start pushing the board to get its act together next week when they come before him for budget hearings. Meanwhile, he says he's not involved in negotiations over a potential buyout of Dr. Joseph's contract, where Joseph's conduct could be at issue. You can see our full unedited interview above.